Until 20th, July 2016, Kickass Torrent (KAT) was the undisputed world’s largest BitTorrent website. Its owner, the Ukranian Artem Vaulin was arrested in Poland and charged by the US Justice Department against several copyright infringements. As a result, Torrent enthusiasts can no longer access the Kickass Torrent website following the blocking and seizure of all its domains. The demise of Kickass Torrent has only given room for other equally useful file sharing sites. We share with you some of the leading Kickass alternatives. Here you will find an updated list of best websites for torrenting. DISCLAIMER: BitTorrent Download is illegal when copyright infringement is involved. It may lead to legal action. In any case, file sharing is not safe if not protected by a VPN service. 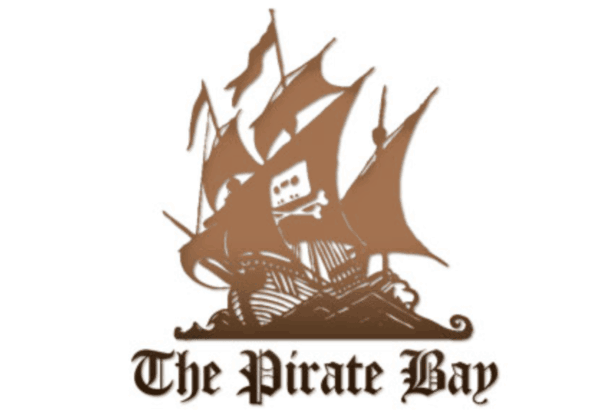 On top of the list is The Pirate Bay (TPB) that was founded by the Swedish think tank Piratbyrån in 2003. It is the most resilient BitTorrent site with an impressive Alexa rank value of 143. The Pirate Bay operates from its .org domain and allows visitors to search, download, and contribute magnet links and torrent files enabling peer-to-peer file sharing. Extra Torrent (ET) is the second largest Torrent site after The Pirate Bay. ET was established in 2010 and is growing by the day thanks to its active community. They have an excellent interface and an extensive database. ET indexes more torrent files for the same keyword as compared to other torrent sites. It is also the home of the famous EETV and ETRG release groups. Founded in 2008 as a Bulgarian tracker, RARBG has grown steadily to secure a place among the best torrenting sites. They have an awesome platform that makes it much easier to download your desired files. You can download Movies, Games, TV, and Software among others. 1337X is another excellent torrent site that is driven by an active community. It had some security challenges last year that saw most of the admins and moderators abandon ship. It has bounced back and offers a wide selection of popular torrents. They even rolled out a new design that is attracting new users, and for them, the sky seems to be the limit. Torrentz2 is a newer version of Torrentz Meta search engine that voluntarily closed last year. It’s an excellent website that is attracting more torrent enthusiasts. However, Torentz2 is clear on the fact that it is not related to the former Torrentz site and that it is independent and positioning itself as a unique, competent torrent site. If you’re looking for a torrent site that is without Trojans and other harmful spyware, then Torlock is the ideal place for you. It is a vibrant torrents site that avails safe torrent files for millions of torrent users every month. You can download Movies, Television, Music, Games, Software, Anime, Audio-Books, E-books, Images as well as Adult content. You can check user comments before embarking to your desired torrent download. After sharing with you the Kickass alternatives, we feel obliged to warn you that BitTorrent download and share copyrighted files, software’s, music, games, and movies without getting permission from copyright owners is illegal. Torrenting without the use of a good VPN service is not safe. It exposes your real IP address and location. Copyright trolls and your Internet Service Provider (ISP) can take action if they catch you torrenting. The sanctions might include sending you a warning letter, slowing down (throttling) your internet connection or an outright legal action. A VPN is a network technology that is employed to create a secure connection over public and private networks. It encrypts all data from your computer and enables you to access the internet through a tunnel service discreetly. It masks your communication and hides your IP address. Your online activities, identity, and location remain private. Choose a VPN service based in a country where the legal system can’t be used to request customer records. Go for a VPN that doesn’t keep logs of user activity. Even where the strength of a court order asks them to produce records, they won’t have any. Speed is of utmost importance. A good torrenting VPN should not slow down streaming content. Device compatibility is important. Ensure that the VPN you subscribe to supports a wide range of gadgets, i.e., from pcs to Androids and iPhones. Free trial and Money-Back Guarantee is vital for testing before purchasing a VPN service. A kill switch and auto reconnect are also important VPN security features. The Kill-switch automatically “kills” the internet immediately if your VPN fails or is not enabled. Auto-reconnect will reconnect once your VPN is connected. The best VPN employs cutting-edge technology to ensure the user’s activity remains private. Here you will find a list of the best torrenting VPN service providers that match most of the requirement listed above. We tested their services and selected the VPNs for torrenting with the best performances and security policies. ExpressVPN is the leading VPN service provider with a comprehensive, professional and lightning-fast service. It is available in 145 cities in 94 countries with unlimited server switches that enable connection anywhere in the world. Their 5-star customer support team offer around the clock customer support by live chat and email. They use OpenVPN (TCP, UDP), PPTP, L2TP-IPsec, SSTP protocols and have a strong encryption. Zero logging, simultaneous connection to up to 3 devices and 30-day money–back guarantee are some of the attractive features of the VPN. IPVanish offers its users a simple solution for internet privacy with fast speeds, maximum security and zero logging making it ideal for torrenting. 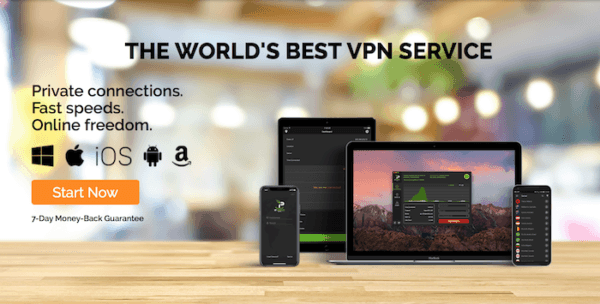 They have over 700 VPN servers in more than 60 countries, PPTP, OpenVPN, and L2TP/IPsec protocols, five simultaneous connections on multiple devices, 24/7 customer support, and a 7-day money back guarantee. NordVPN offers complete privacy by protecting your data using the revolutionary 2048 – Bit SSL encryption. NordVPN’s Double VPN technology encrypts data twice providing one of the tightest security features in the industry. They have a network of 738 worldwide server locations in 58 different countries. Other features of NordVPN are lightning speed, not logging where you go on the internet and an automatic kill switch technology. Le VPN features reliable servers in 114 countries, OpenVPN, L2TP over IPSec and PPTP protocols. 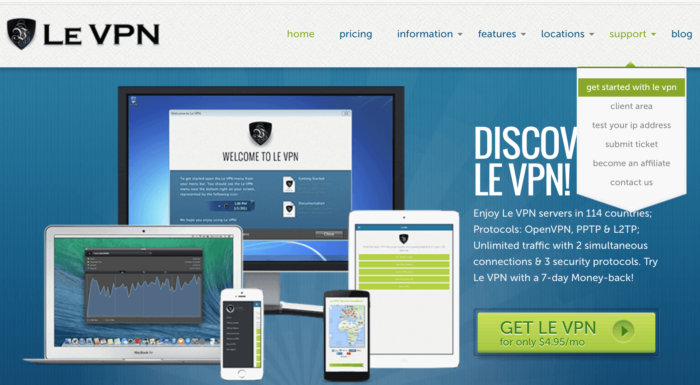 With Le VPN you get full security, virtual geolocation, and anonymity. The VPN will help you bypass censorship, mask your IP address, and watch live sports online. Hide.me VPN is a service that will keep you safe from spies, hackers, and identity theft. It will also mask your real IP and give you an anonymous one thus keeping your information safe. They do not store logs of a user’s online activity, and their client software is easy to install and use. Hide.me has servers across the world that makes it possible for you to access various TV programs and streaming sites restricted by your country. The demise of Kickass.to gave an opportunity for other valid kickass alternatives to shine. The P2P enthusiasts still have a long list of file sharing websites to choose from. Illegal torrenting may cause trouble from copyright holders and the government. It is advisable to always use a VPN service when torrenting so as to keep your identity and location anonymous. But, be cautious, not every other VPN service on the market will give you maximum protection while torrenting. To be safe, make sure to consider our advice on how to choose the best VPN service for torrenting. 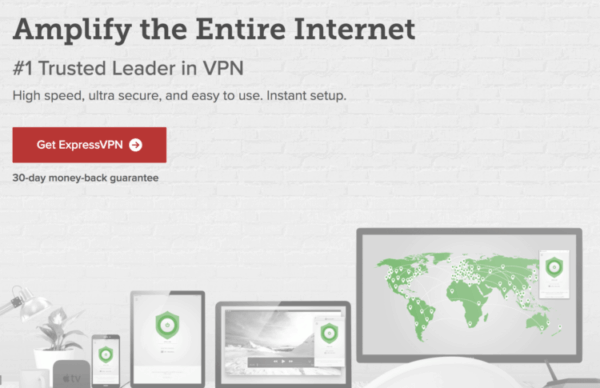 We have also brought you to speed on the five best VPN Torrenting service providers.